This product has been discontinued ! We do have a similar product to show you. 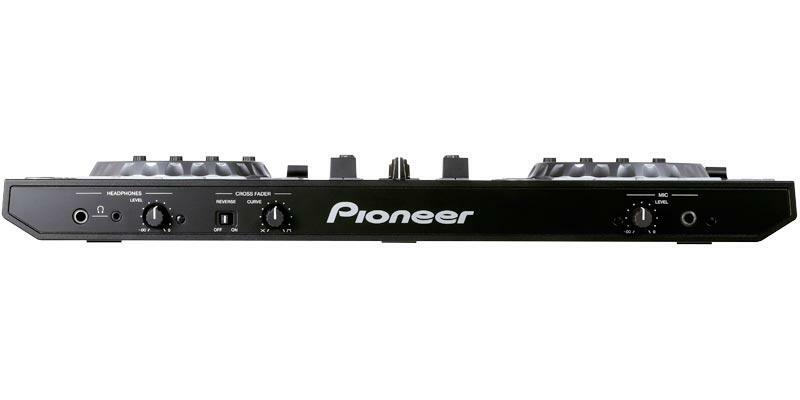 The Pioneer DDJ-SR 2-channel DJ controller is designed for use with Serato DJ software. The smaller and more compact DDJ-SR inherits many of the same functions and controls of the larger DDJ-SX introduced in 2012, offering large aluminum jog wheels, integrated performance pads, and a new PAD PLUS feature that adds four additional audio effects to the performance pads.. The DDJ-SR takes advantage of Serato DJ’s full capability, ensuring its layout of knobs and buttons are exceptionally easy-to-use with the software. • Performance Pads – Large rubber “performance pads” located below the big jog wheel provide HOT CUE, ROLL, SLICER and SAMPLER functions. Each soft-touch rubber pad illuminates in blue to enable users to tap the pad(s) quickly for each effect, with the output volume varying depending on the strength of each tap. • PAD PLUS – By activating the new PAD PLUS button, the functions of the performance pads are transformed, converting the four function buttons into HOT CUE ROLL, TRANS, COMBO FX and SAMPLER ROLL. 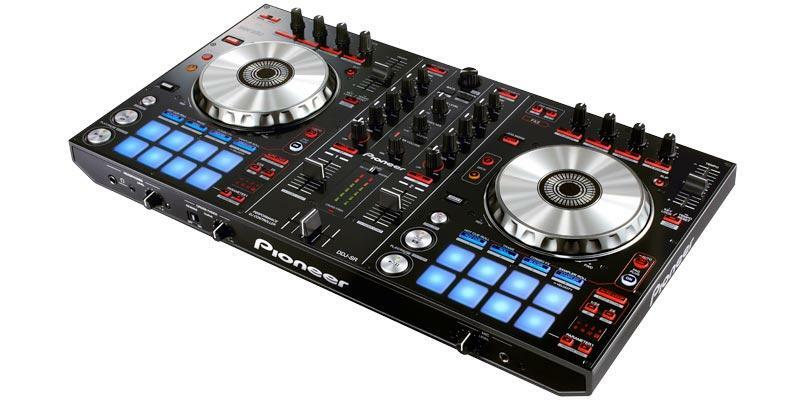 This enables DJs to trigger multiple FX with one button, and automatically sync samples and Hot Cues to the beat. 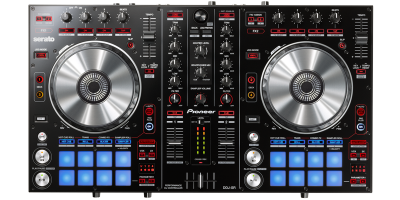 The DDJ-SR also features a Beat Indicator which gives a visual representation of the beat. ◦ HOT CUE ROLL/SAMPLER ROLL - Launch Hot Cues and Samples that are automatically synced to the BPM. ◦ COMBO FX – Simultaneously trigger and modulate multiple effects and filters with one pad. ◦ TRANS – Cut the volume of FX in and out at pre-set intervals. • Big Jog Wheels – The DDJ-SR features two large jog wheels for precise scratching and mixing capabilities. The resistance for each jog wheel was fined tuned to provide users with the best “feel” and the shortest latency. 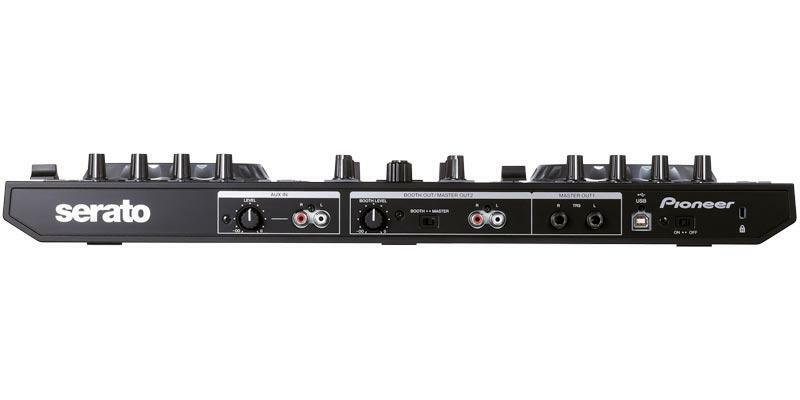 • 2-Channel Mixer – The built-in 2-channel mixer on the DDJ-SR is ideal for scratch performances. 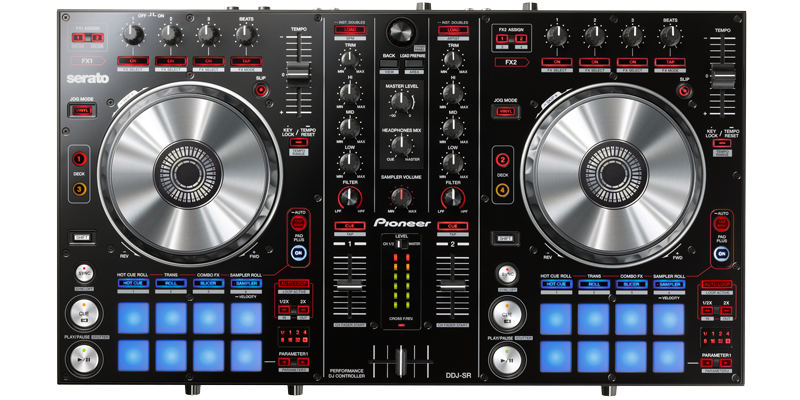 The mixer can also be used with four decks using the “deck select” buttons located on each side of the controller. In addition, the unit features a “Cross Fader Reverse” switch to enable the left and right decks to be controlled from opposite sides. • High-end Design – The DDJ-SR sports a steel top panel and an aluminum jog plate for a more elegant and stylish look and feel. • Serato DJ Software – A free-of-charge download of Serato DJ software is included with the purchase of a DDJ-SR for an easy out-of-the-box experience. • USB Power – The controller can be powered through the USB connection to a laptop1. • Built-in Sound Card (audio interface) – Simple connection to a laptop with a single USB cable. • Adjustable Cross-fader Curve – Suits any mixing style. • Channel Fader Start – Enables the use of the channel fader to control and play/cue tracks. • Integrated Handles – The controller features grip handles on each side for added convenience.